Verdict - an amazing film, filled with gorgeous settings, relatable characters and heart wrenching story telling that will make you choke up on multiple occasions. It is well worth the watch. Maquia: When The Promised Flower Blooms, the newest masterpiece by director and writer, Mari Okada, is a heart-wrenchingly beautiful piece of animated filmmaking that deserves all the attention it can receive. Maquia follows the story of an immortal girl and a mortal boy who are bonded in a way that will last a lifetime. This is one of those stories that whilst simple in its basic core, has a ton of lore that keeps the story complicated and interesting and completely changes up the dynamic of certain character interactions. Our immortal girl, Maquia, is from a clan where no one ages past their mid-teens. She is without parents, feeling isolated and alone, when a human army invades, searching for the secrets of their clan’s immortality. Maquia is one of the few able to escape. Wandering along through the forest, she finds Eriel, our mortal boy, just a newborn who was the sole survive of a bandit raider that took his parents’ life. Maquia decides to raise the child as her own and this is where the story gets horribly emotional. The crux of the story questions motherhood and family, found and blood-related, and what it truly means to love someone unconditionally. 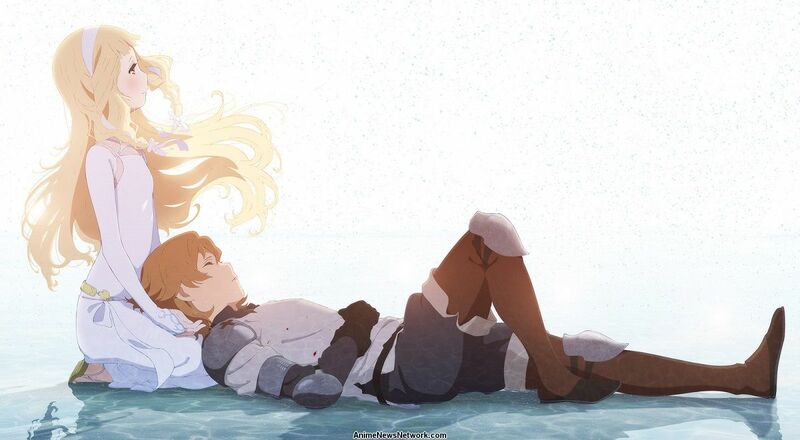 Whilst the story is entitled with Maquia’s name, you come to realise this isn’t her story but Eriel’s, a boy who has a beginning and an end in a way that Maquia will never have. It’s filled with happiness and sadness, death of people and of what was once believed. It’s a very skilful thing to be able to display a loss of childhood innocence in a movie that is not even two hours long. Visually, this movie is stunning. With a muted colour palette and a unique drawing style, Maquia is set apart from the popular Ghibli movies. It is clear that a lot of work went into the visual experience of this film. The soundtrack compliments the scenes well, managing to find a balance between a fantasy feel and something far more grounded, mimicking the two characters of Maquia and Eriel. My only criticism would be faux endings. There were multiple points where it felt like the story had reached a conclusion and, when matched with a scene designed to portray finality, it could make the whole experience disjointed. You felt like it should end and then it didn’t, so it dragged on and on. Not to say that the true ending wasn’t perfect for the type of story that was being told and that it wasn’t a satisfying ending overall, just that it made the experience more drawn out than it needed to be. In no way does this take away from how enjoyable this film is. Maquia: When The Promised Flower Blooms is in cinemas now.